Good morning, card lovers, and welcome back! 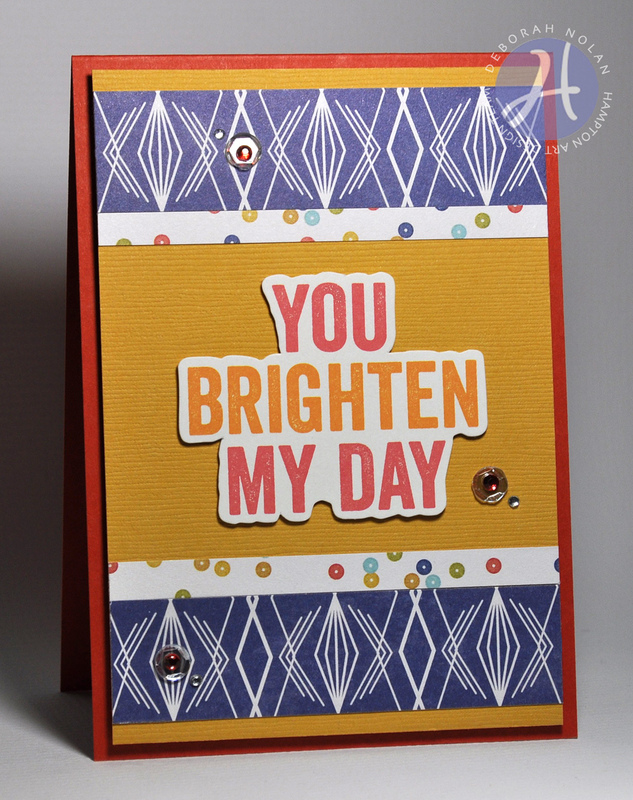 Today's card is for the man in your life who deserves some recognition and appreciation! Cut panel of gold card stock and strips of PP to fit. Adhere PP to panel, followed by sequins and gems. 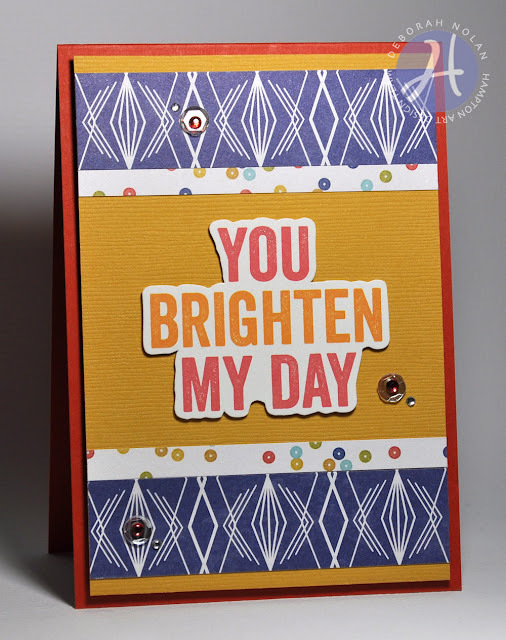 Adhere panel and Pea Pod sentiment to card with foam dimensional tape.